Building Worlds On The Web. 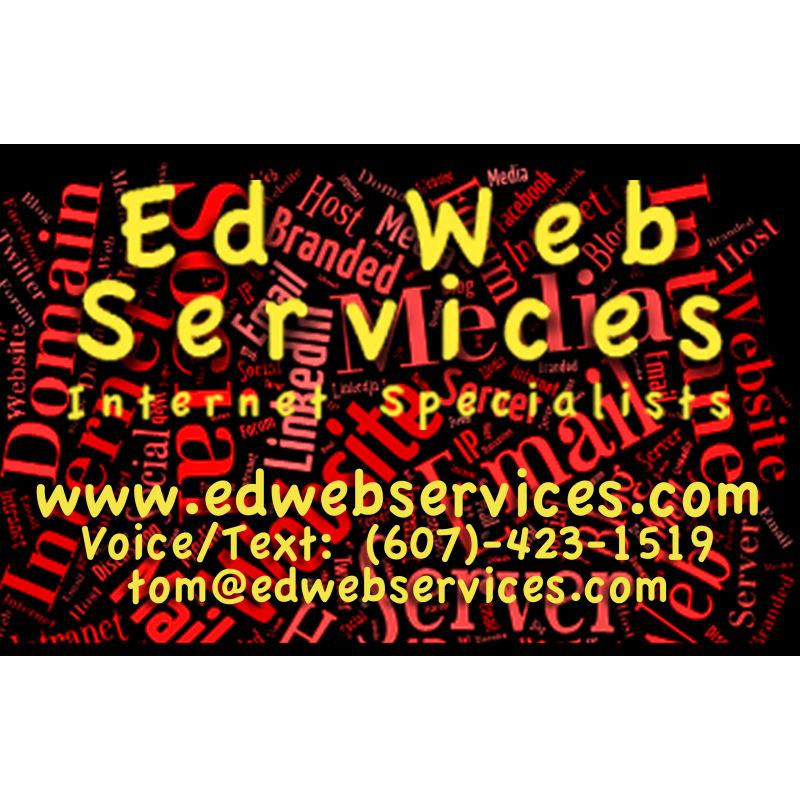 Here at Ed Web Services we are dedicated to your 100% satisfaction above all else. We are always working to support this goal. We work for you. When you contract with Ed Web Services not only do you get the products that we offer but you get the service that accompanies them. The service is backed up by 2 decades of experience plugged in and on-line. Throughout the 1990s and 2000s we trained teachers and school personel to use several software titles so that they could become better users of technology. From 1999 to 2010 we built, ran and managed the website for Cortland City Schools to create an enhanced online presence for the school district. Throughout the 2000s and 2010s we trained high school students to be web designers. In 2010 we became "Ed Web Services" as we built the infrastructure necessary to serve our expanding customer base. In 2011 we switched our focus to an "Open Source" solution to keep our customer's costs low. We now deploy the power of the Linux operating system to run our servers, Apache to serve our websites, MySQL database structures to store our content, Joomla to constuct the core of our sites. Since 2010 we have developed and deployed and maintained over 100 custom designed packages for people, their businesses and organizations. Ten thousand hours? At least.